Step 1 – You send us an email and we’ll set the date for your Sugarcoated photoshoot. Step 2 – You’ll transfer the initial 50% deposit to our bankaccount. Once after we have received your deposit, your appointment is definite! Step 3 – A short questionnaire will be emailed from us, as you have to give us some practical information, like your shoe size etc. Together, we’ll work out a couple of personal themes for your shoot, inspired by stuff like your job, favourite pastimes, food, sports and other interests. Step 4 – Day of the shoot! The Sugarcoated team is ready and well prepared for your ultimate vintage transformation! Your hair and make-up are being taken care of by a highly skilled and experienced professional. Sugarcoated’s stylist has secured a number of outfits, fitting the shoot’s theme and your personality. Add to that some nibbles, a glass of fine Prosecco, a few tips ’n tricks on how to pose in front of the camera and a bit of humour - and you’re guaranteed to have one unforgettable experience. But wait .. that’s not all, wait till you’ll see the eindresult! Step 5 – Within one week after the photoshoot, we’ll send you a selection of your best pictures. You will make the final choice yourself. Then we’ll make sure your choice gets the ultimate Sugarcoated look ’n feel. Step 6 – You’ve got mail! Within two weeks after you have have informed us about your choice, we’ll send you the final results. 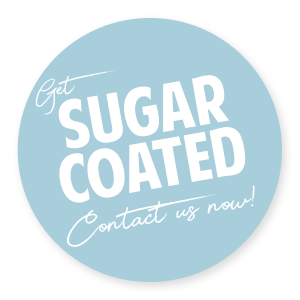 The digitally ‘Sugarcoated’ pictures in both low and high resolution, so you can now proudly say to the world: ‘’Yes, I’ve been Sugarcoated!’’ If the booked package offers prints you will receive these within 10 days after the digital results are emailed.